For stiff finish fill shine bright Luster - Polymerize for Starch makes totally Gum, Suitable for Cotton Fabrics & other Fabrics- Use in any starch like. Maida, Maize, Topiaca, Rice, T.K.P. Dosage : 0.90 to 1 % on starch for Cotton Fabrics & other Fabrics in size mix. Replacement : for all types of softeners. Stearic Acid Base. T.R.O. Oils. Paraffin liquid. Wax. Tallow and all types of adhesives like PVA. PV. Acetate (Polysol). Polyacrylamide. Acrylic. Acrylate. C.M.C. Gelatin. Guargum. Dextrin. Anti Static Oil. Modified starch. Sorbitol. Glycerin. Glycols. And hygroscopic. Materials. We offer to our clients, a wide range of high quality fertilizers, herbal bio terminator, enzymes and textile agents. 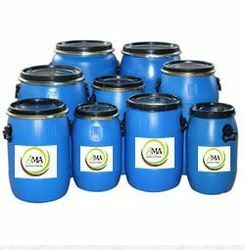 Our entire range includes Stiff Finish RR Textile Agents, Starch Alternates, Amino Silicone, Soft Finish RR, Herbal Bio Terminators, Triple Gum Bio Terminators, Sanjivani Booty Bio Terminators, Micronutrient Fertilizers, Plants Micronutrients, Farm Fertilizers, Effluent Enzymes, Wastewater Treatment Chemicals, Distillzyme Enzymes, Brewery Enzymes, Organic Fertilizers, etc. We have a team of experts who ensure compliance with various domestic and international quality norms. Our capacious and technologically advanced manufacturing facility is equipped with an in-house design unit as well as CAD/CAM technology. This enables us to offer customized solutions thereby ensuring maximum utility to the client. We also offer customized packaging facility to our clients to ensure client satisfaction. We strive to offer best products with perfect quality, thereby become the preferred choice of global & domestic agricultural, textile and beverage industries.